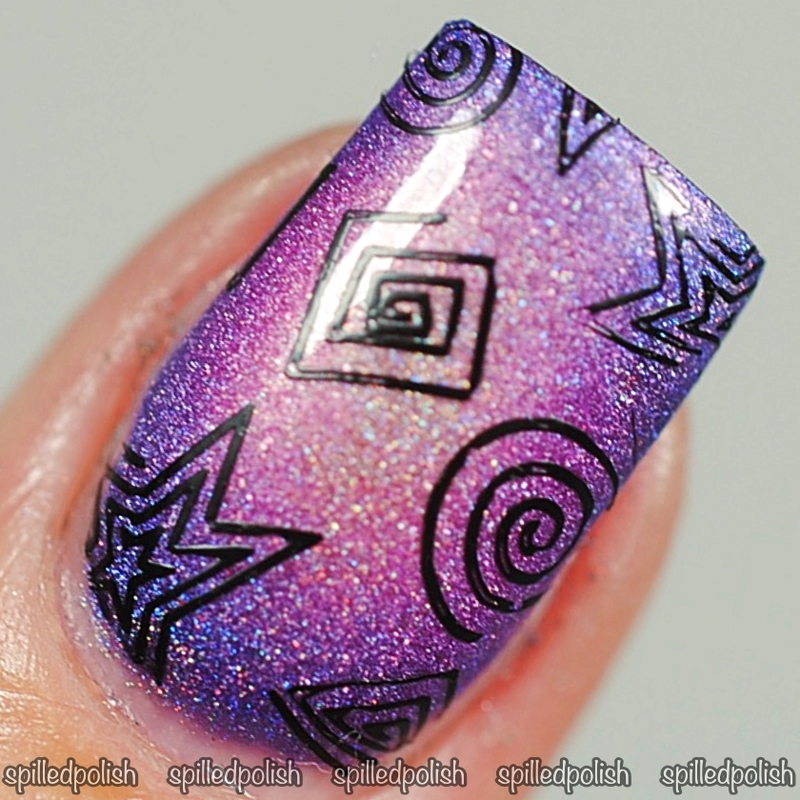 spilledpolish: Swirls & Holo Gradients! I don't even know where to start with this post.. Can I just say I'm in LOVE with my own nails!! I'm not always overly-impressed with my own nail art, but this time I'm quite pleased :) I don't think I was expecting the gradient to turn out as good as it did haha. I started by applying NailExperiments - Easy Peel Latex Barrier (in Gold) around each nail. It's hard to see in my photo below because it almost camouflages onto my skin and most of it's covered in nail polish too. 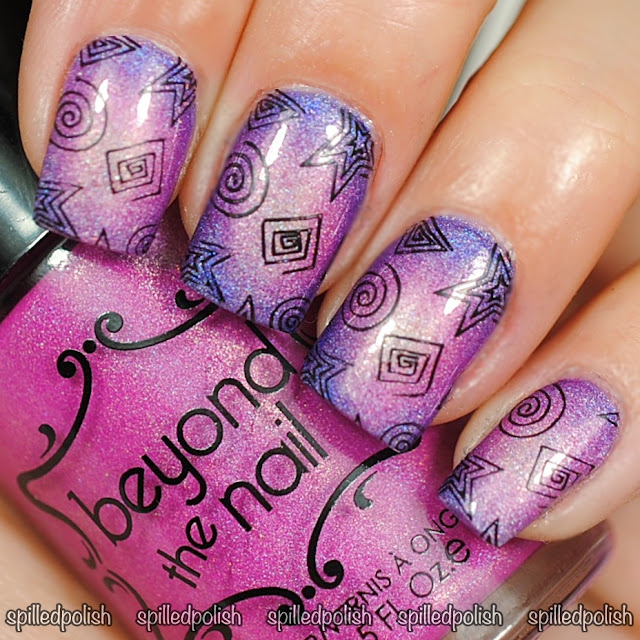 I sponged on 3 coats of a gradient (in a circular design) using Beyond the Nail's Space Cadet, Nebula, & Holy Grail. After it dried, I stamped over it using my Clear Jelly Nail Art Stamper, Bundle Monster - Stamping Plate BM-601 and Beyond the Nail - Deep Black. 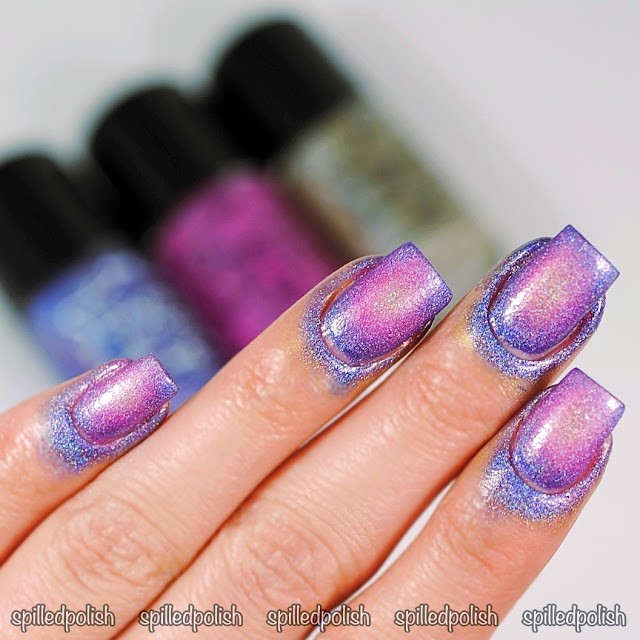 I finished each nail off with one coat of PRO-FX - Quick Dry Topcoat. Easy Peel to the clean-up rescue!